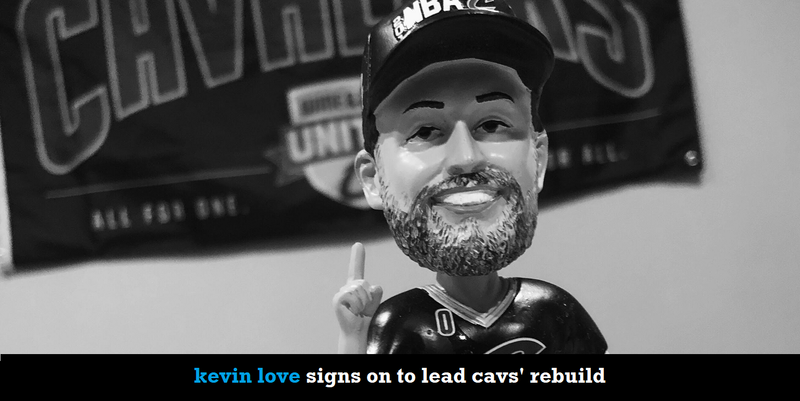 Written off as a potential trade asset since nearly the day he arrived, Kevin Love is still in Cleveland. And with the four-year contract extension he signed this week, it looks like the Cavs are planning to count on him for a long time. Love is well-liked, but his new deal was a polarizing move around town. Are the Cavs making the right call by trying to push forward toward a playoff spot, even if it means losing their first-round draft pick in 2019, or should they be fully embracing the tank to improve their lottery odds? Scott Sargent, of Waiting For Next Year and Bleacher Report, was on hand when the team announced Love’s contract extension. He joins The Nail to discuss that deal, the course the Cavs are charting in their second post-LeBron era, and the question the vast majority of teams around the league face, now including the Cavs: How do you approach the season when you aren’t one of the precious few franchises with a shot at an NBA title?